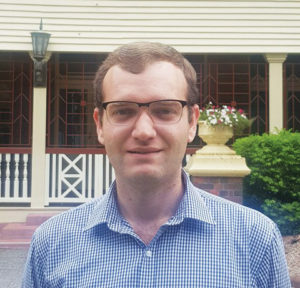 Craig is a fourth-year medical student at the University of Queensland. Before starting medicine, he completed a Bachelor of Science (Advanced) at the University of Sydney with majors in Biochemistry and Statistics. 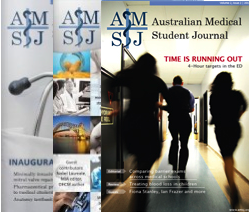 In this issue of the AMSJ, we talk to Associate Professor Steven Lane about life as a physician-scientist. 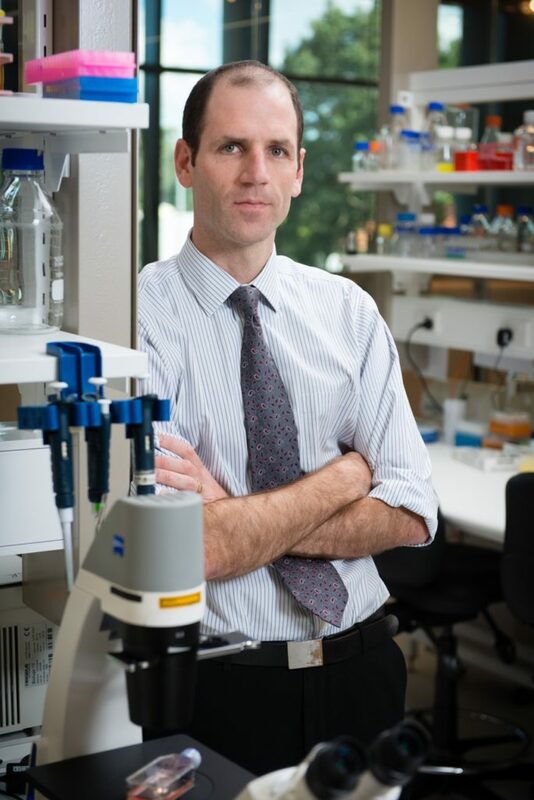 Associate Professor Lane is a clinical haematologist at Royal Brisbane and Women’s Hospital (RBWH) and head of the Gordon and Jessie Gilmour Leukaemia Research Laboratory at the QIMR Berghofer Medical Research Institute. He has recently been awarded a prestigious CSL Centenary Fellowship. His lab researches myeloid blood cancers such as acute myeloid leukaemia (AML), myelodysplastic syndrome (MDS) and the myeloproliferative neoplasms (MPN). These are very aggressive and rapidly fatal blood cancers that are among the most common types of cancer affecting Australians. Q: What is the current focus of your research? A: We are a cell biology laboratory researching leukaemia and other blood cancers. We try to understand at the cellular level how leukaemia forms from normal blood cells, what are the pathways that turn it from being a normal cell into a leukaemic cell, and how it is that treatments can reverse that process or target the cancer cells. Q: What drew you to specialise in haematology? A: I was initially drawn to haematology mostly because of the patients. The patients are often young people. These are very unlucky people who have very severe illnesses but have a possibility for cure. There’s a lot at stake, but it’s very rewarding because of that. Additionally, the science and clinical trials are right on the cutting edge of the latest developments. Finally, in any career you look for good examples and mentors. Haematology at RBWH and PA Hospital in Brisbane are very lucky to have some excellent people working there. I guess they were very inspiring to work around and you want to be like those senior doctors. I think those aspects make haematology a very attractive specialty and lead to a lifetime of challenges and rewards. Q: When did you first become interested in research? A: Actually, I was never interested in research when I was a medical student. When I started my advanced training in haematology I realised that research was a very necessary part of what we do and I really wanted to get involved in clinical research. I found clinical research at some levels rewarding and some levels frustrating because we are really limited by the fact that we have rare diseases, small numbers of patients, and a lot of conflicting priorities with funding, drug companies, and investigator-initiated research. That experience motivated me to look at translational research and understanding the fundamental biology as to why things happen. You realise as you become more exposed to a certain field that the big breakthroughs do not happen at the clinical trial end but happen at the very basic biology end. It is those massive discoveries that change medicine. For example, imatinib (Gleevec) which is used for chronic myeloid leukaemia, comes from the basic laboratory from an understanding of how a disease process works. I also felt that other people had a strong aptitude for clinical research whereas there was an opportunity for me to get involved in the other preclinical side of it. Q: Medical students often ask when the best time is to do a PhD in their training. When in your career did you complete your PhD and how did you find it? A: I did my PhD after I completed my speciality training. One of the advantages of doing it later is that you have to maintain momentum in a research career. If you do some research, then leave research for few years and try to come back, you have to start back from square one. Completing a PhD also resets your career so that you are eligible for young investigator funding, so if you do it later it has other advantages as well. I think what is important is to get exposure to research but not on a full time basis at the early points. You need to get involved in reading journal articles and writing papers. A downside to research is that it can be more financially challenging to step out of your career later and it can be challenging if you are married with kids. For all the talk from government and hospitals, they still don’t know how to appropriately manage and fund clinician researchers, and this is an ongoing challenge for the entire field. Q: You completed an overseas fellowship in Boston as a part of your haematology training. Do you recommend heading overseas for a fellowship? A: I don’t think it matters if you head overseas or stay locally, what matters is that you give yourself the best opportunity. You may be lucky enough to be interested in an area of research where there are experts locally and in that case you should absolutely study with them. If you get the opportunity to go to a great international centre, I think you should take it, but there is a very substantial financial penalty to doing it. In real dollars it costs an enormous amount of money. In opportunity cost it costs about three times that because you are not earning money here, but you really shouldn’t worry about that now! Q: When you returned from the overseas research fellowship, how did you find establishing yourself as a physician-scientist in Brisbane? A: I currently have two separate part-time appointments: 70% as a researcher (QIMR) and 30% as a clinician (RBWH). At the moment in Brisbane they do not have combined physician-scientist positions, so you need to get a clinical job and a laboratory job and put them together to make a full-time position. Some hospitals in other cities such as Melbourne do have combined roles. For my clinical appointment, I have regular clinic days each week and also do ward service, on call, and other clinical meetings. Q: Lastly, what advice and tips would you give a medical student interested in a career as a physician-scientist? A: You have to be self-motivated, proactive and have self-discipline. Do not expect too much too quickly. If you show you are interested and spend time on it, opportunities will present themselves. Keep an open mind and follow those opportunities. If you do the right things and do them for the right reasons, it will work out in the end.